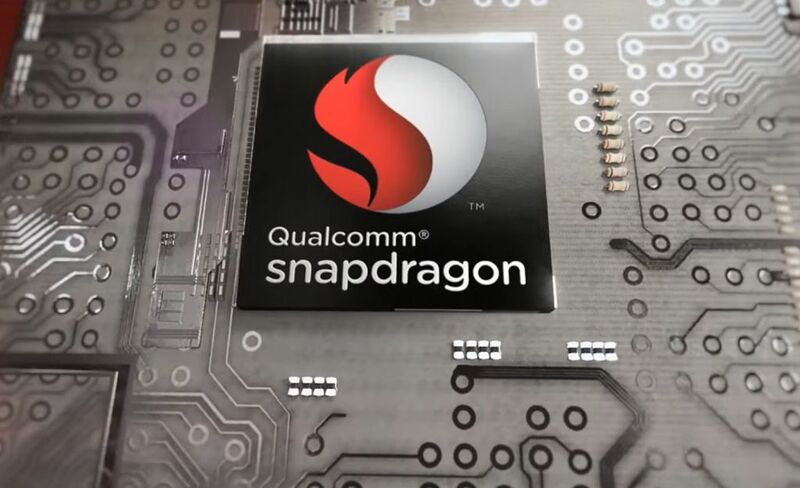 Few days back, Qualcomm said that it would release more information about its upcoming flagship Snapdragon 835 chipset at CES. Back in November, Qualcomm pre-announced a few general specs for the 835 and detailed the benefits of a die shrink to 10nm. 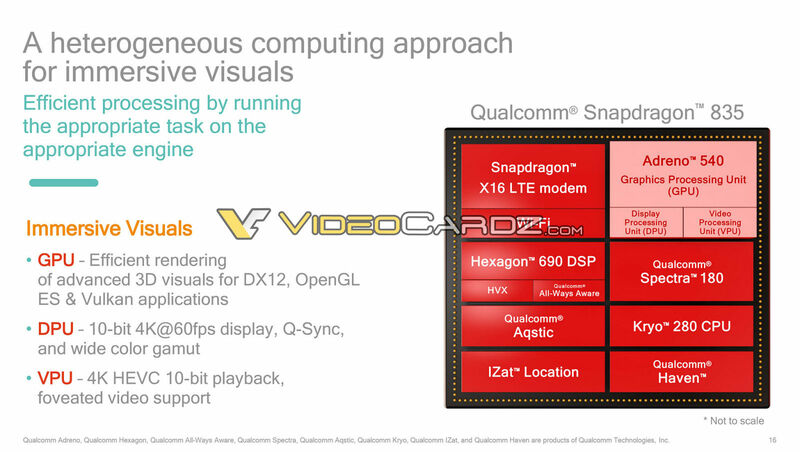 Today, some slides giving away information about the chipset that were leaked prior to CES launch. 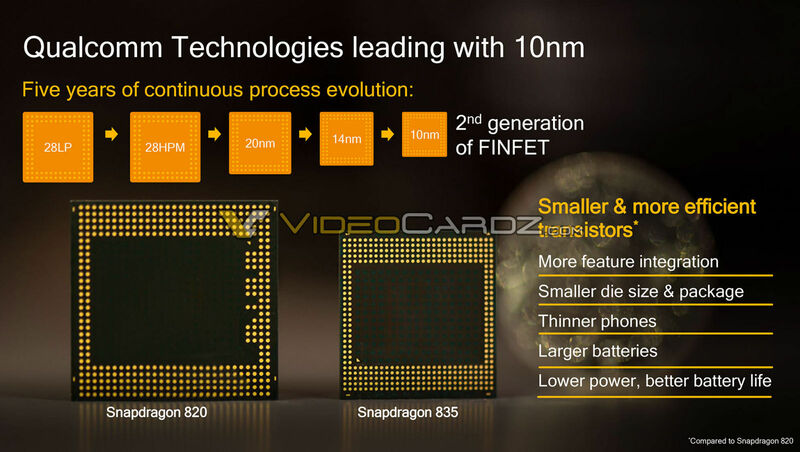 Expected to be built by Samsung using the 10nm mode, the Snapdragon 835 SoC will provide 27% improved performance over the Qualcomm Snapdragon 820 chipset, using less energy than the latter. 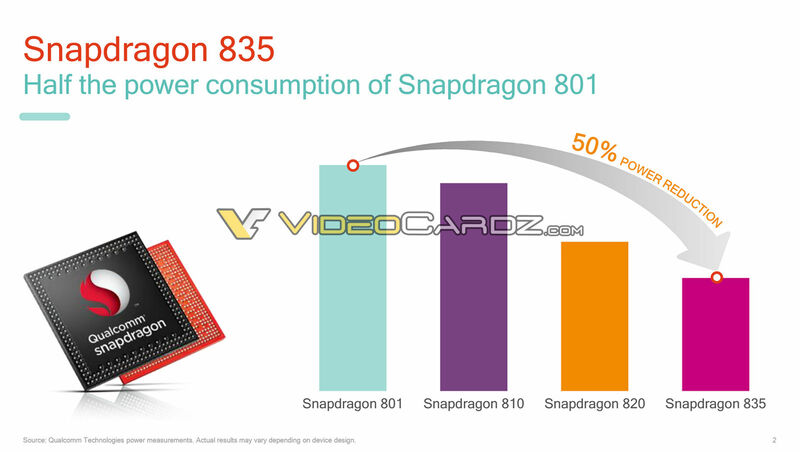 It also has a smaller footprint than the Snapdragon 820. The X16 LTE modem on the Snapdragon 835 SoC is the first chipset to have a gigabit-class LTE modem. 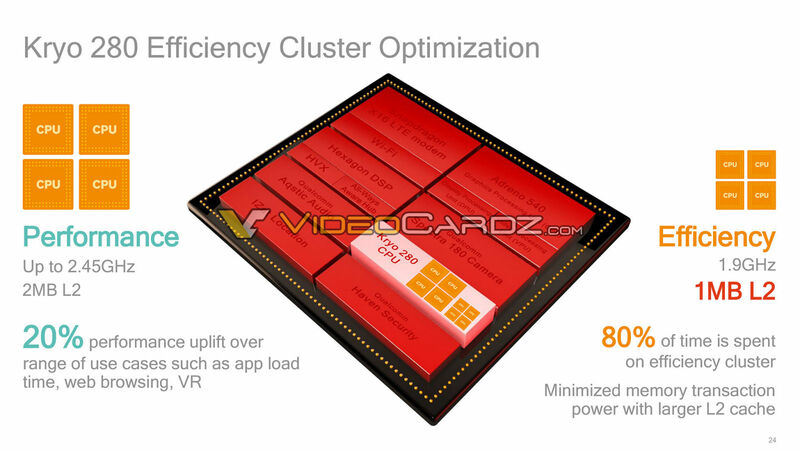 The slides also indicate that the chip will sport Kryo 280 cores. 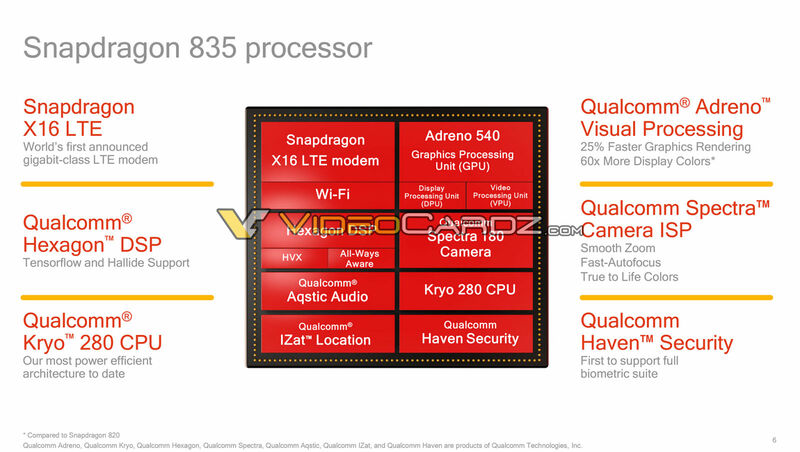 The Adreno 540 GPU supports 60 times as many colors as the most recent Snapdragon chipsets, with 25% faster rendering. Video wise, there is support for 10-bit, 4K, 60 fps video playback with OpenGL ES, Vulkan, and DirectX 12 graphics. With the Snapdragon 835 we could see more room for larger batteries, cameras with faster autofocus, and Quick Charge 4. The latter powers up batteries 20% faster than Quick Charge 3. This means that 5-minutes in the outlet will give users 5-extra hours of battery life. 15-minutes of charging will take the cell to 50% full. The Snapdragon 835 chipset could be found first on the LG G6 or on certain versions of the Samsung Galaxy S8. Over the course of the next week and the coming months, we should see a plenty of devices launch with the 835. Keep it locked to Kickedface for the latest news and announcements.